More than 108,000 families are to get personal travel advice sent to their homes – using smart phone technology to let them see next bus times without leaving the sofa. The largest personal travel planning campaign ever mounted in the region is part of a £5m investment programme by local authorities and Nexus to give bus passengers better services. This includes investment in highway improvements on 19 key routes into town and city centres to make journey times reliable, more CCTV and lighting at bus stops and smart updates on bus times. Nexus is also using the fund to provide grants to bus companies to put wifi on board vehicles, as well as providing it at more of its own bus stations. The investment is being paid for through a Better Bus Area Fund grant of £5m secured by the Tyne and Wear Integrated Transport Authority. Cllr David Wood, Chairman of the Tyne and Wear Integrated Transport Authority, said: “The £5m funding we have won means it will be easier for local people to plan and make journeys by bus on many key routes into our towns and cities. “We are investing right across bus services, from grants to local companies for on-board wifi through to better places to wait and highway improvements to make journeys more reliable. The personalised information will be sent to homes within 400 metres of 19 key routes into town and city centres in Tyne and Wear to benefit from the Better Bus Area Fund. It is the first largest personal journey planning campaign ever mounted in Tyne and Wear, and will be studied by researchers from Newcastle University’s Institute of Health and Society to measure its impact. A joint marketing campaign by Nexus and Tyne and Wear’s three main bus companies, Stagecoach North East, Go North East and Arriva, will highlight the investment and benefits to passengers. Robin Knight, Commercial Director of Stagecoach North East added: “It is great news for bus users that so many improvements are being funded by the Better Bus Fund and, as we know that uncertainty about where and when to catch the bus is a key barrier to travel, this personalised approach to providing information is a welcome initiative. 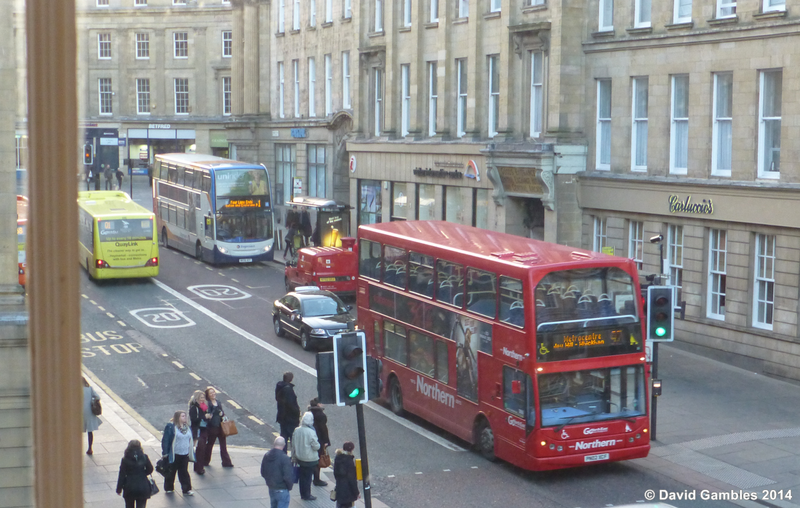 The Tyne and Wear Integrated Transport Authority secured £5m Better Bus Area Fund investment from the Department for Transport in 2012 in a joint submission with the five local authorities in Tyne and Wear.